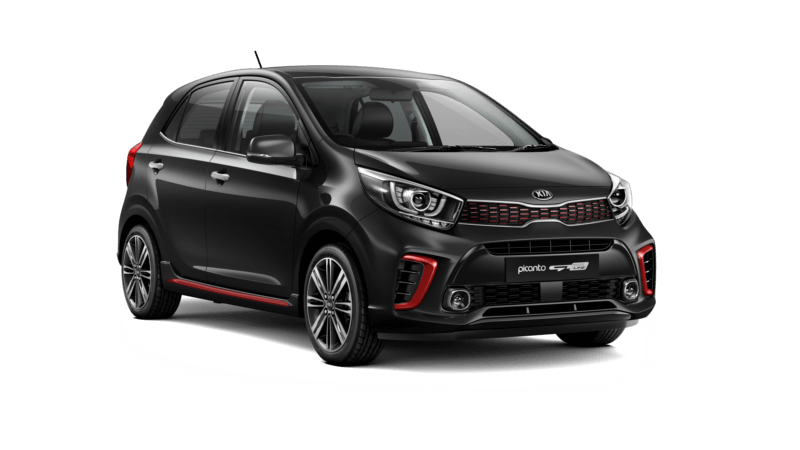 The Picanto GT has arrived. 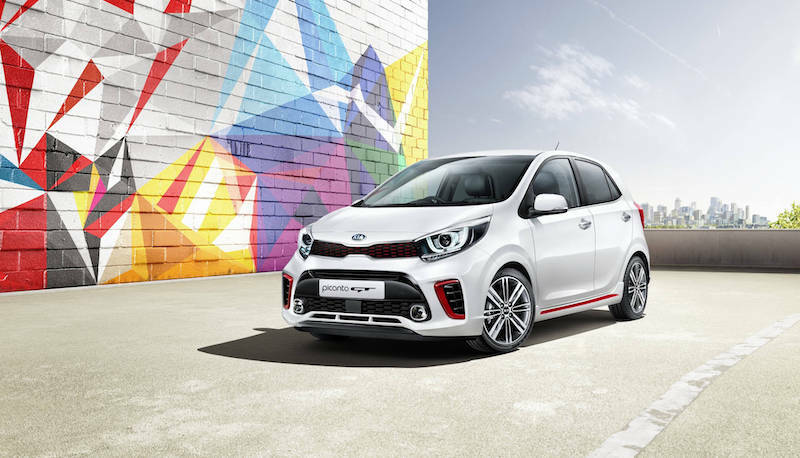 Ignite your daily drive with this turbocharged firecracker of fun. Australia's hottest micro car just got taller, bolder and funkier. 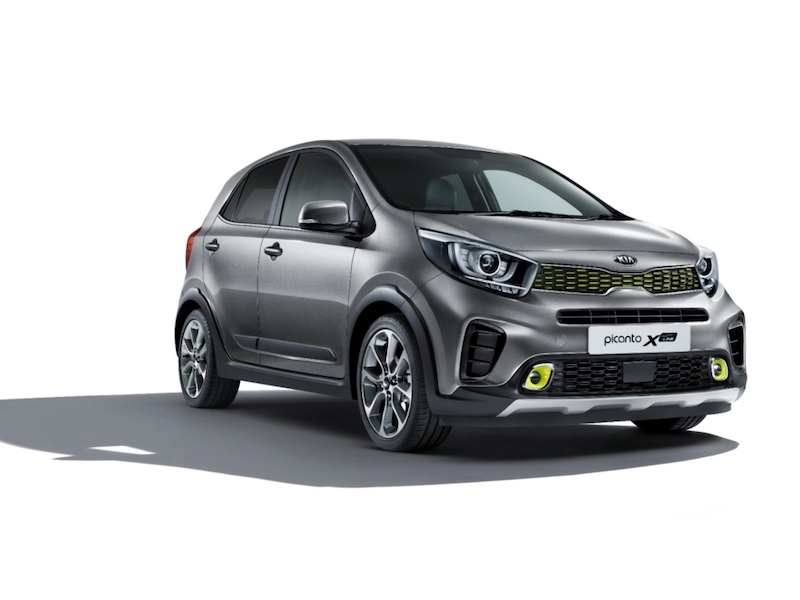 Boasting a new energetic look, with vibrant highlights, the Picanto X-Line AO Edition gives a more robust presence on the road for extra fun and enjoyment. 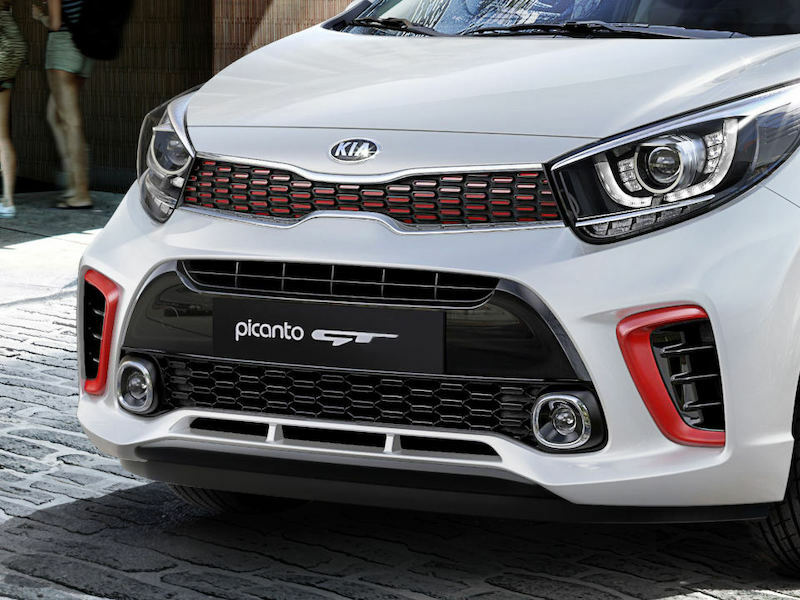 It’s Picanto, with an SUV attitude. 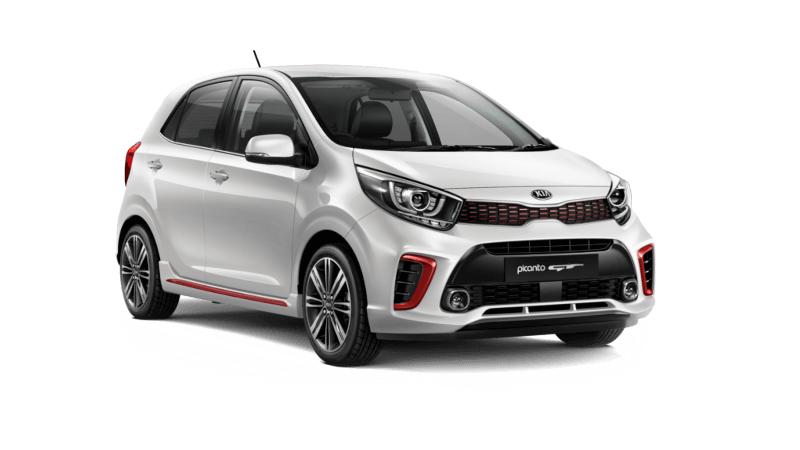 Raised suspension, new thicker body kit and contrasting colour accents provide another stylish take on the award-winning Picanto design. 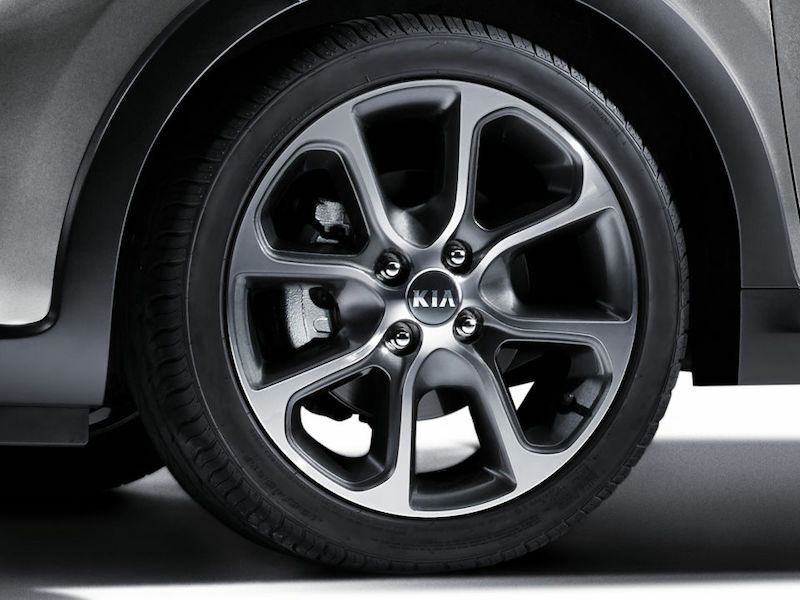 Four more reasons to turn heads, with exclusive 16-inch alloy wheels. Because style starts from the ground up. 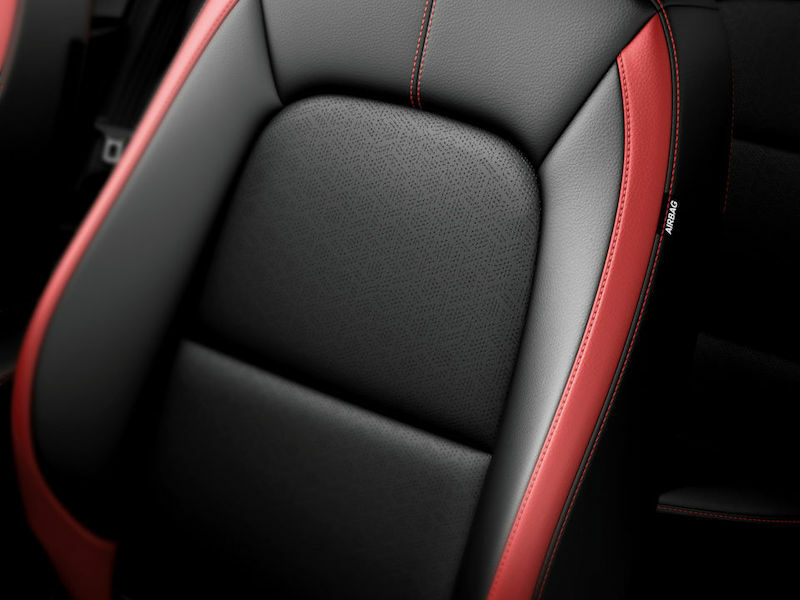 From striking red accents to premium finishes, the interior is designed to be noticed. Now step on the aluminium pedals and take off into driving bliss. Double the sports appeal. 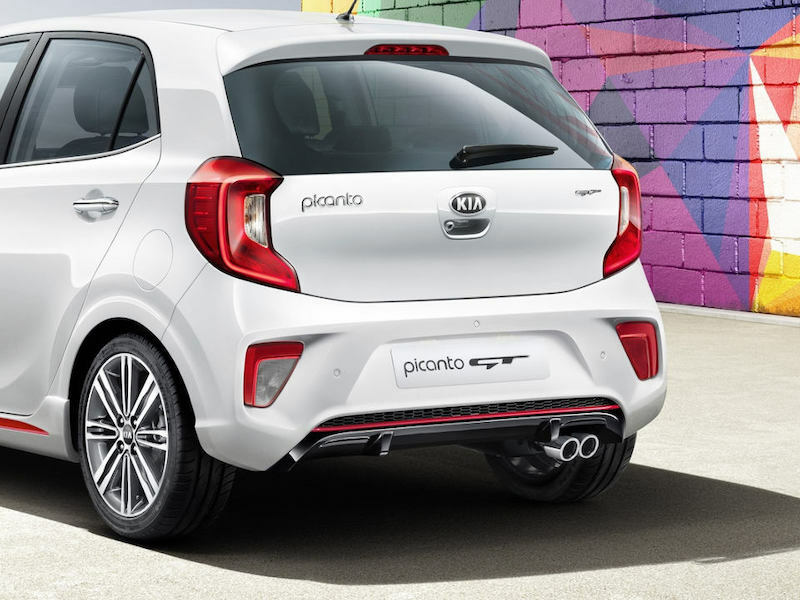 The twin tailpipes provide the perfect touch of sportiness to compliment the car’s bold look. 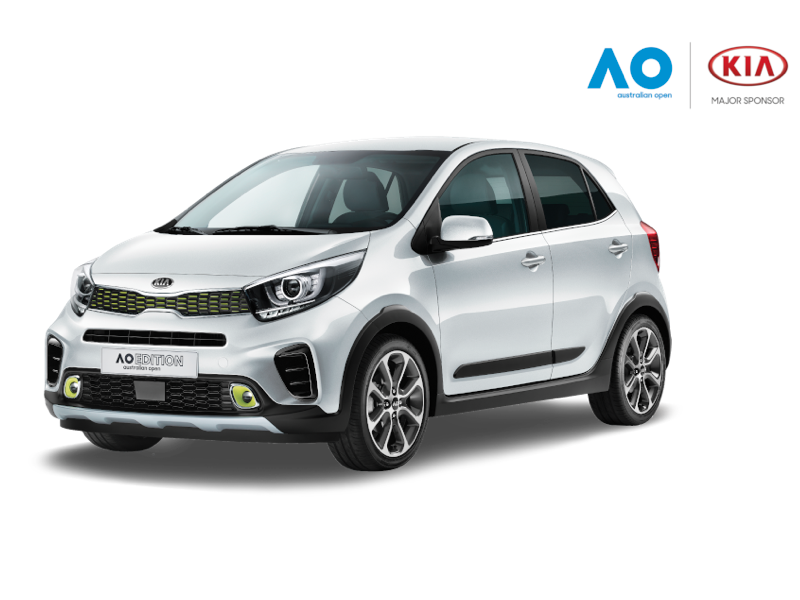 The DRLs not only add a sleek look to the Picanto X-Line AO Edition, but also increase safety by increasing the car’s visibility to other road users. 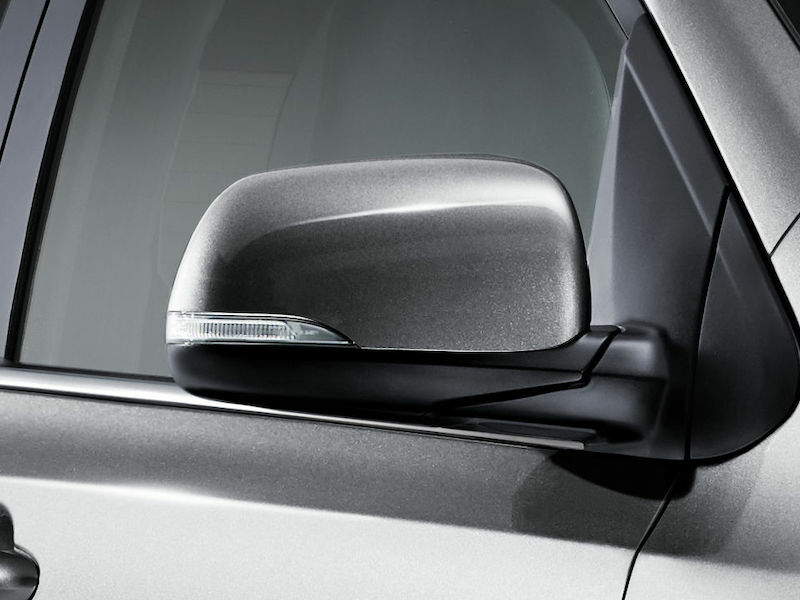 Fold-in electric side mirrors help you manoeuvre into tight spaces, while heating ensures you won’t need to worry about them fogging up, during the colder months. 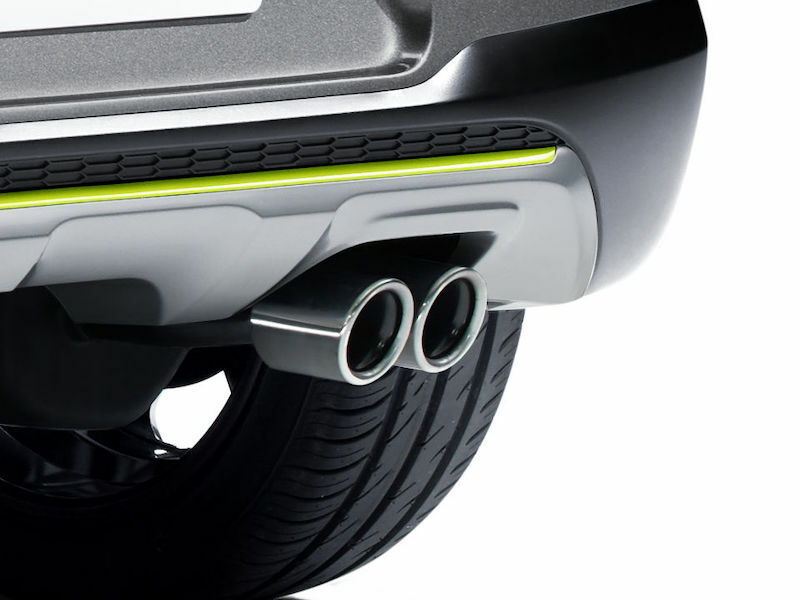 Twin exhaust tips complete the sporty rear design. Available on GT & GT-Line grades. 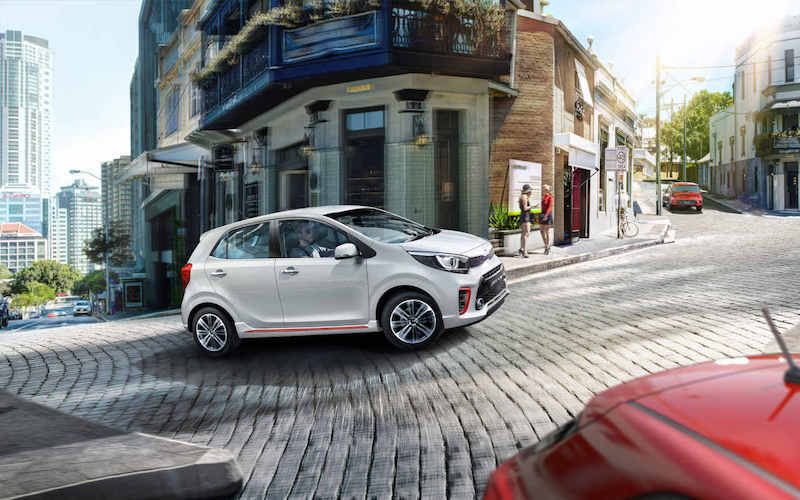 With its compact dimensions and dynamic lines, the Picanto is the ultimate match for any city. Style from the ground up. 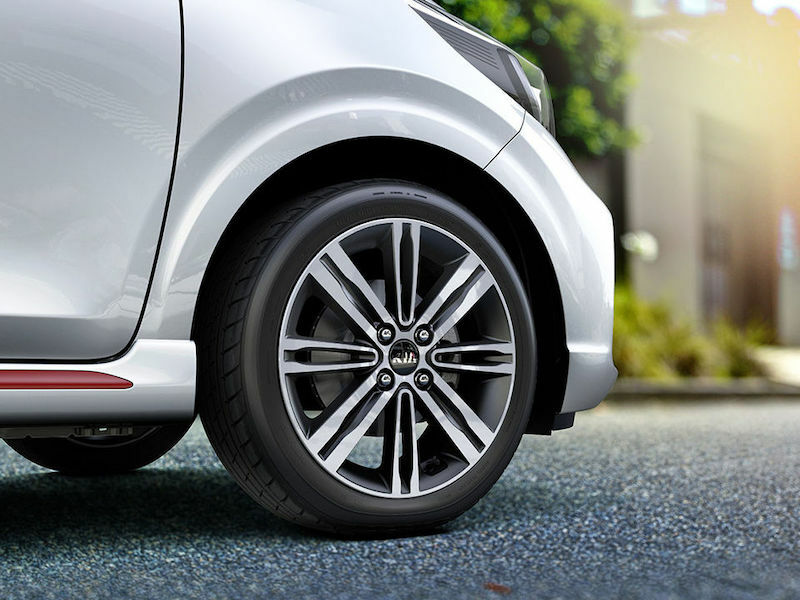 Polished alloy wheels add a touch of sportiness to match the dynamic styling. 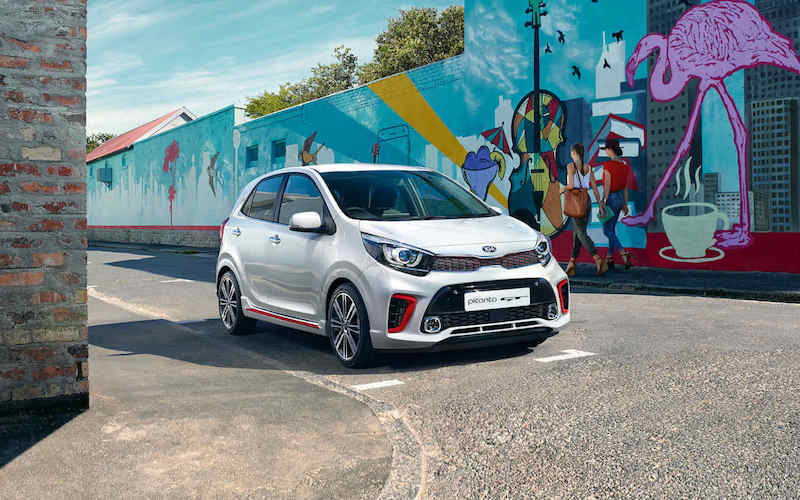 From the interplay of colour accents that highlight its sporty traits to the glossy air intakes, the Picanto GT flaunts its stylish, sleek appeal from every angle. 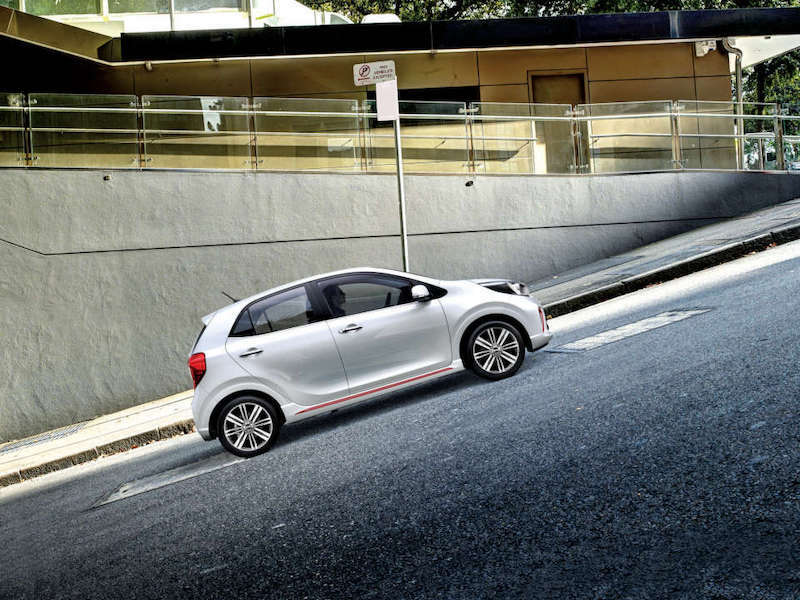 Not only does the Picanto GT look great up close, it also looks fantastic at a distance. 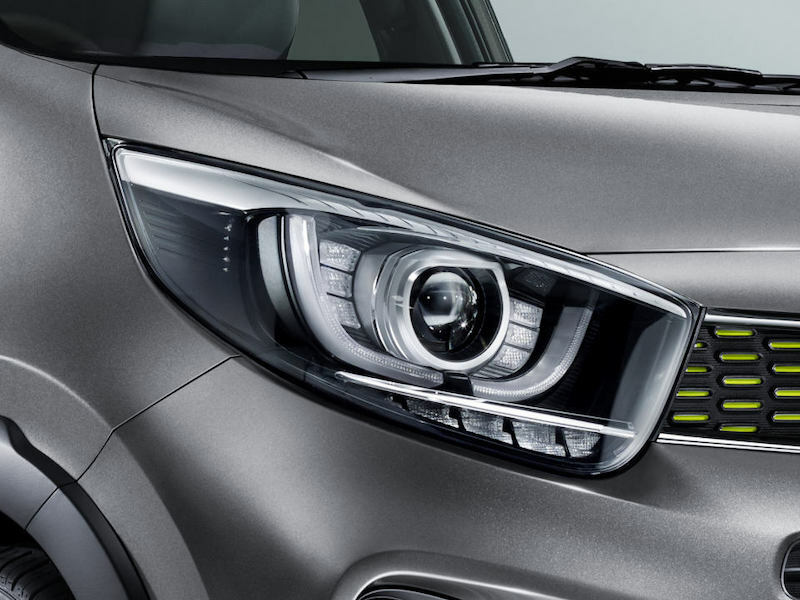 With its LED daytime running lights, you can stand out in both style and safety. 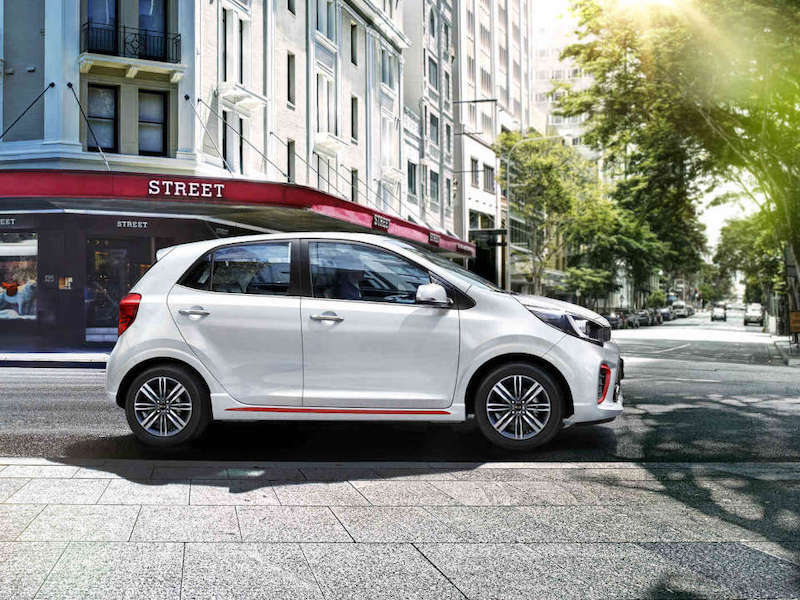 Surprisingly spacious, the Picanto is a cut above the competition in space. 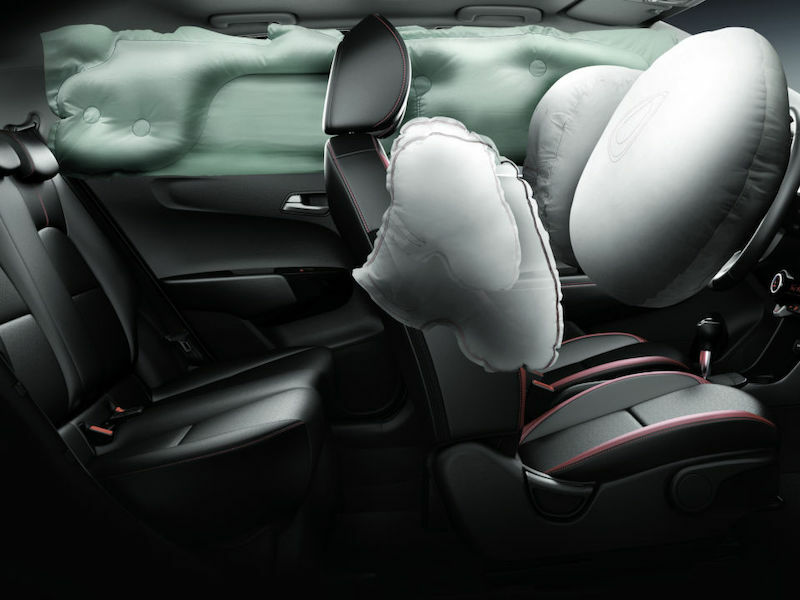 Generous dimensions for head, shoulder and legroom are available even for your rear passengers, so go ahead and get comfy. 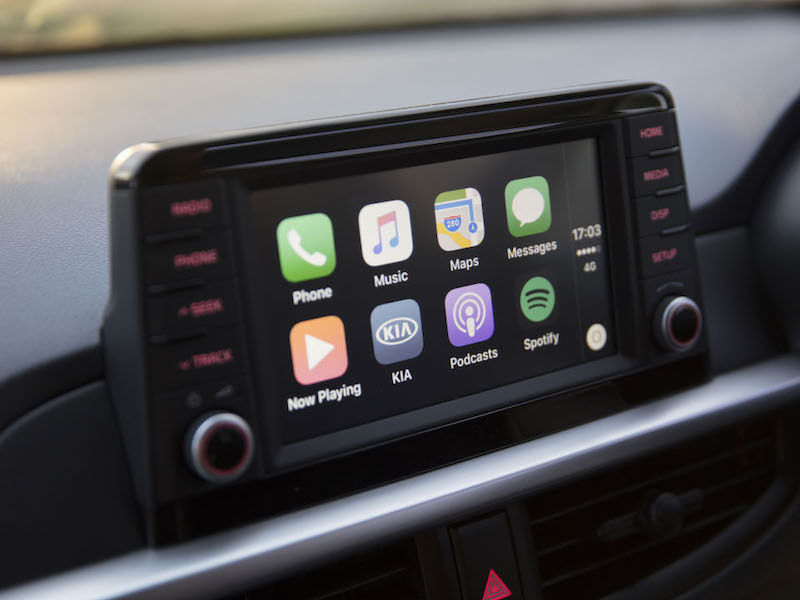 Stay always-on with Bluetooth®[A] Android Auto™[A] & Apple CarPlay™[B] smartphone connectivity with voice recognition on the large 7 inch touchscreen. 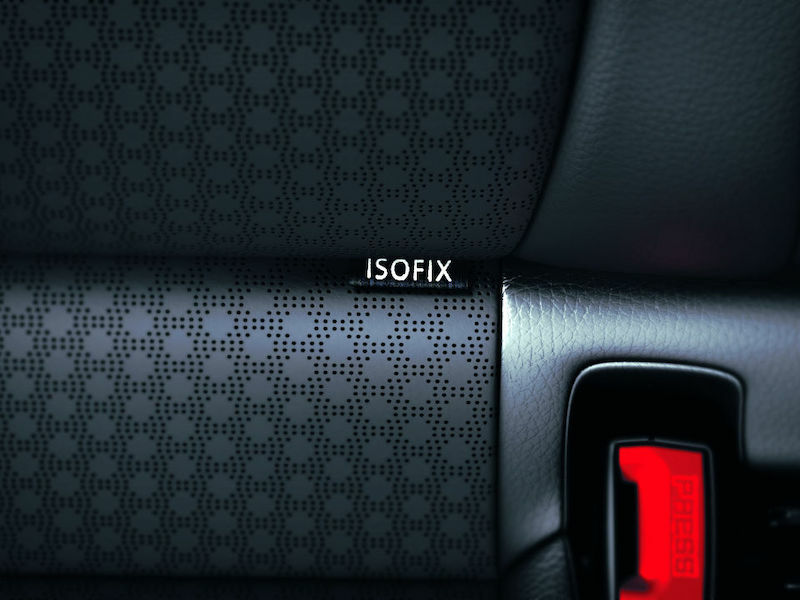 Enjoy the firm yet supportive seats that are as stylish as they are comfortable. 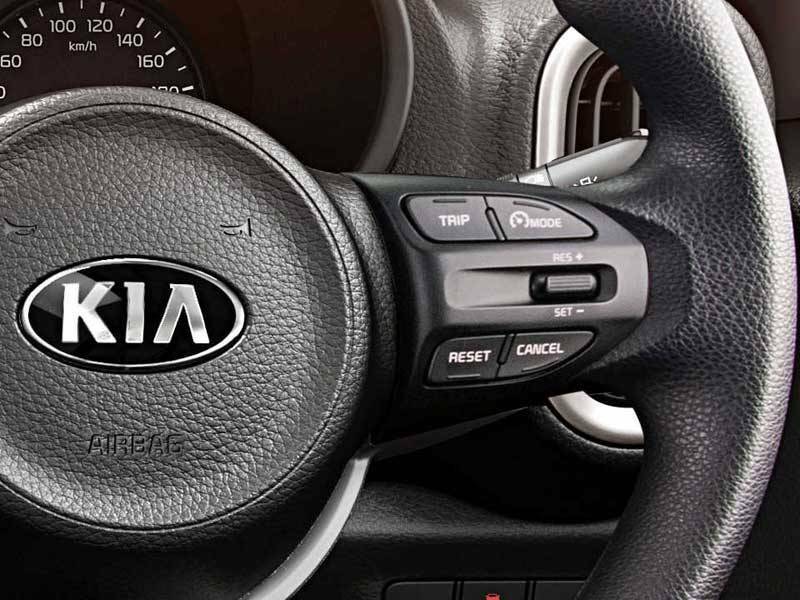 Steering wheel mounted buttons for the cruise control adds even more convenience to your drive. 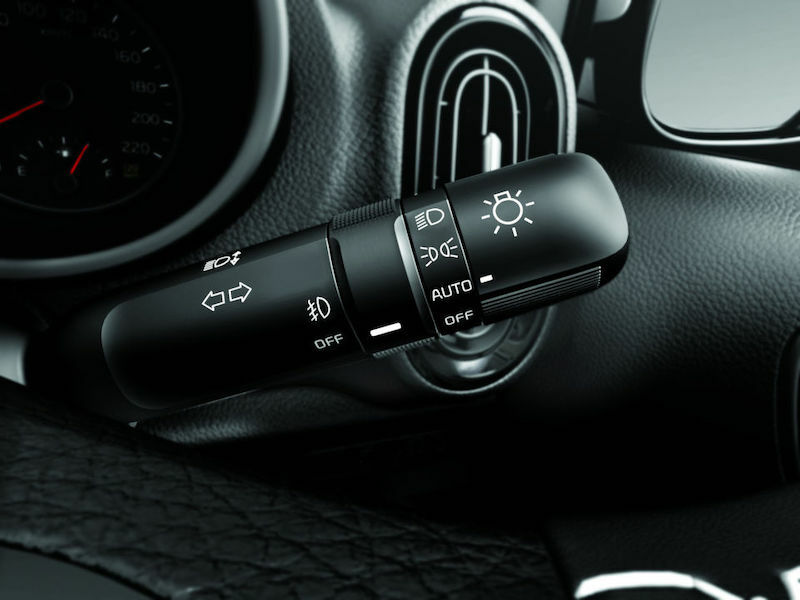 Never forget to turn your lights on in the darker hours with these automatic dusk-sensing headlights. 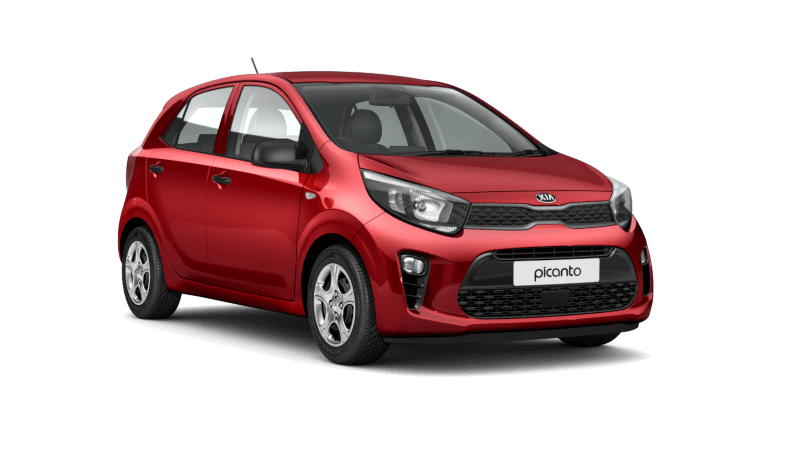 Don't let the compact size fool you; the Picanto is more than capable of accommodating baby seats with its 3 top tether anchors and 2 ISOFIX positions. 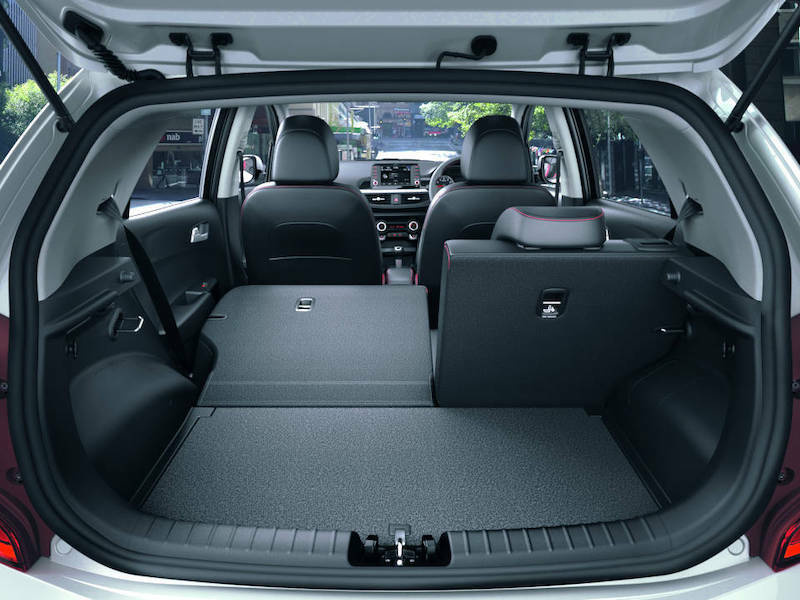 Enjoy the flexibility of 60:40 split-folding rear seats to accommodate large amounts of cargo. 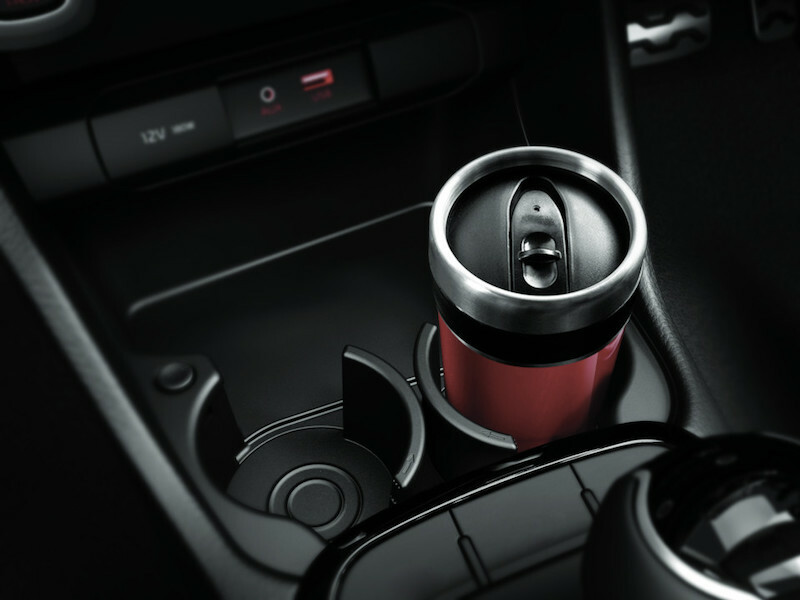 No small details are missed with these two convenient cup holders in front of the centre console. What's more, if you need more space they can be easily adjusted away with a touch of a button. 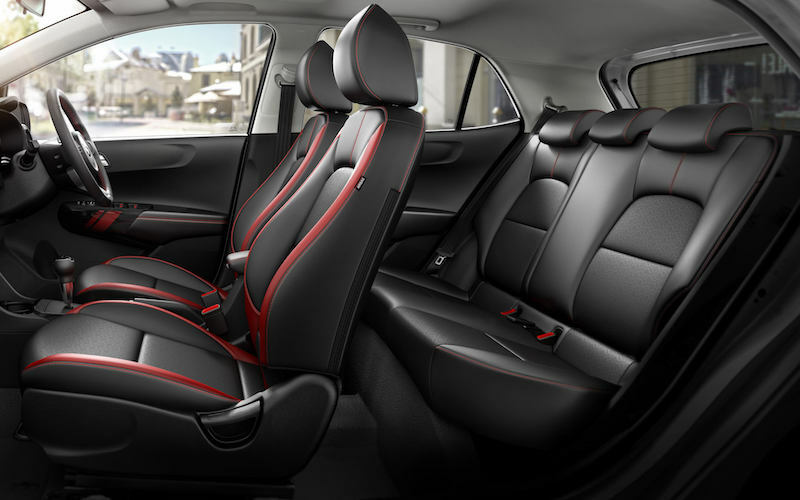 Racing inspired alloy pedals add a touch of sportiness to the cabin. 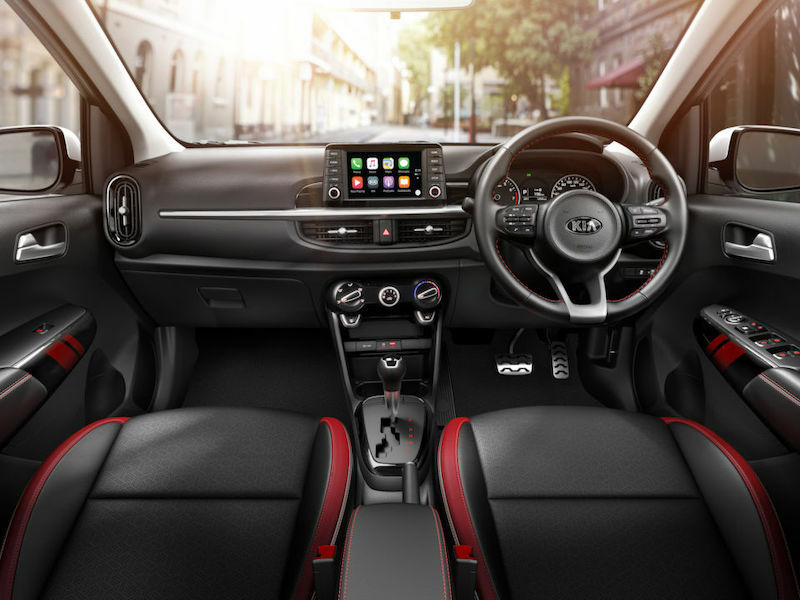 The 1.0 T-GDI turbo engine combines efficiency, power and dynamic performance into one package, while the smooth running 1.25L MPI petrol engine provides frugality and agility for an excellent all-round performance. 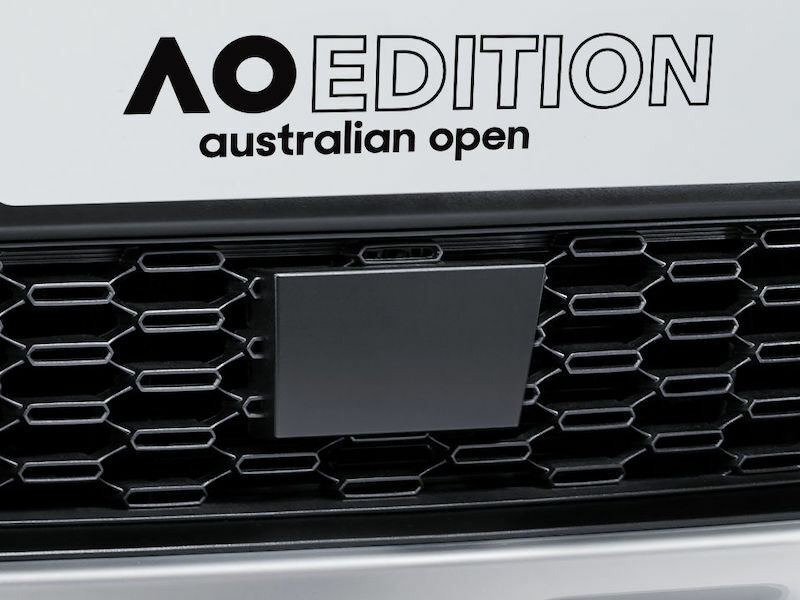 1.0 T-GDI engine available on GT grade. 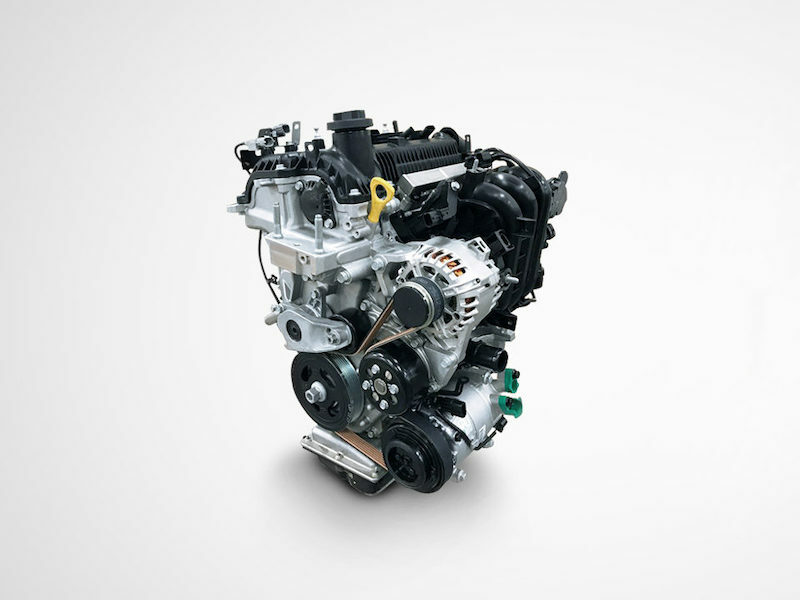 1.25L MPI engine available on GT-Line, X-Line & S grades. 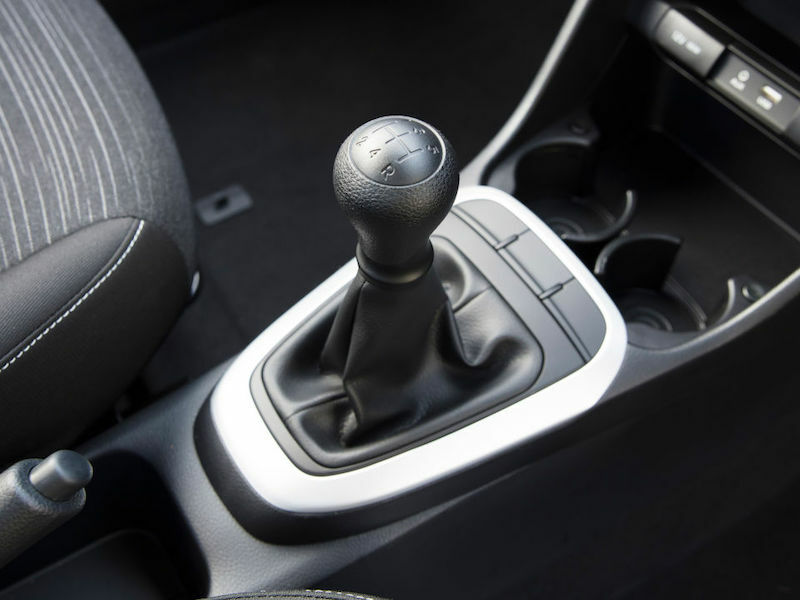 5-speed manual transmission is available for those who prefer complete control. 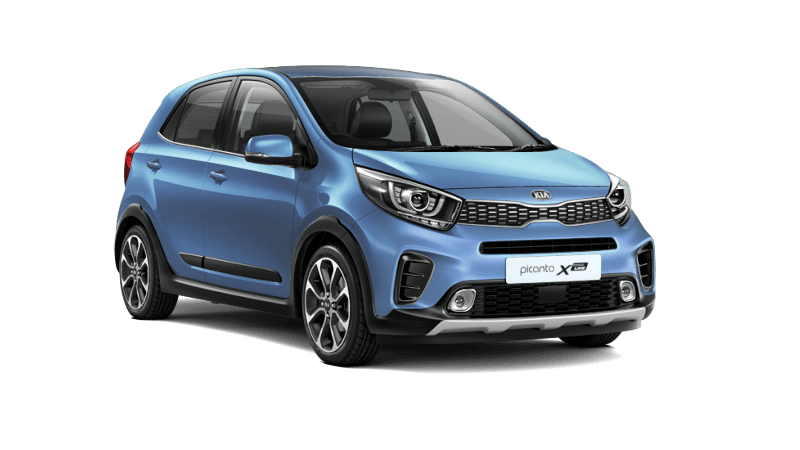 Manual transmission available on GT, X-Line & S grades. 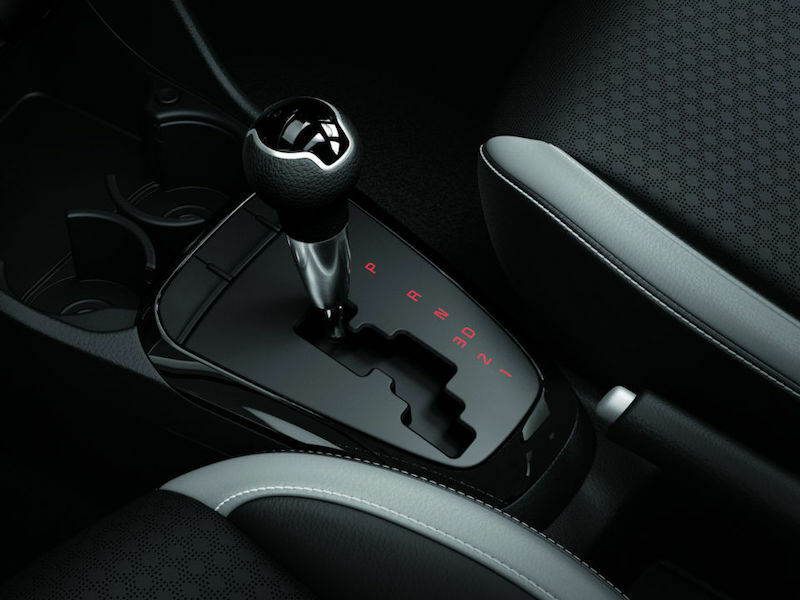 4-speed automatic transmission offers quiet operation and great convenience in the stop-and-go city traffic. 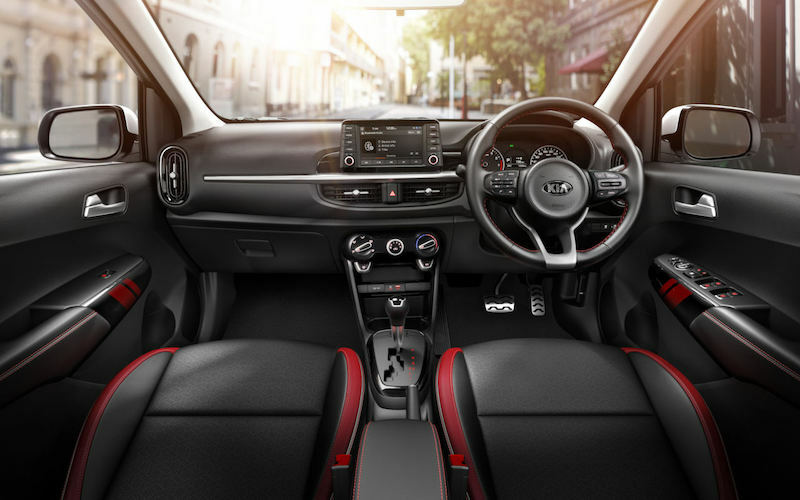 Automatic transmission available on GT-Line, X-Line & S grades. 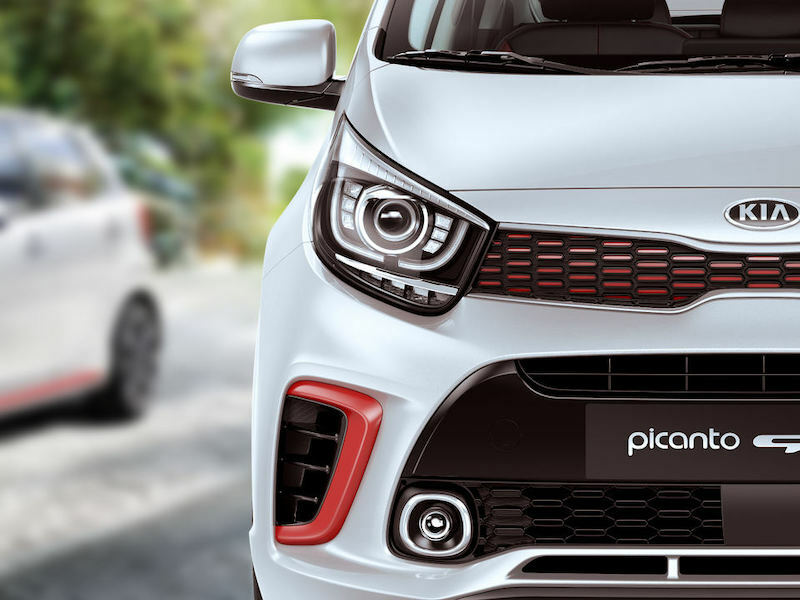 The All New Picanto comes with 44% Advanced High Strength Steel (AHSS). 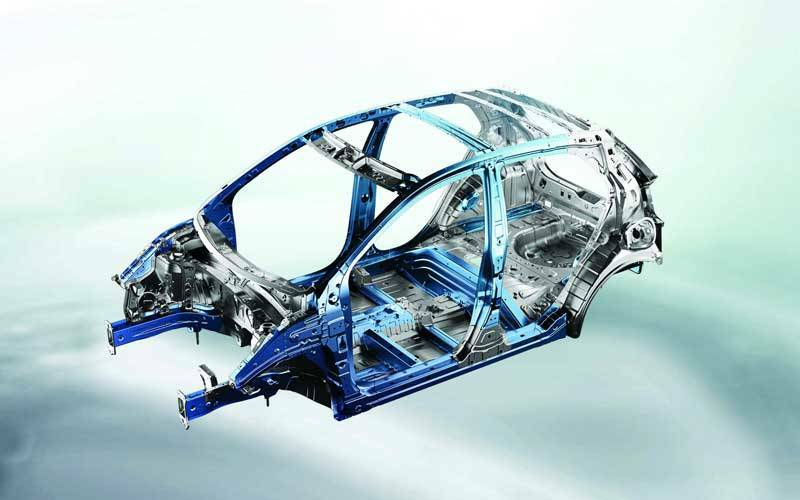 The increased rigidity of its reinforced chassis provides safety, improves stability, handling and lowers Noise, Vibration & Harshness (NVH) levels. 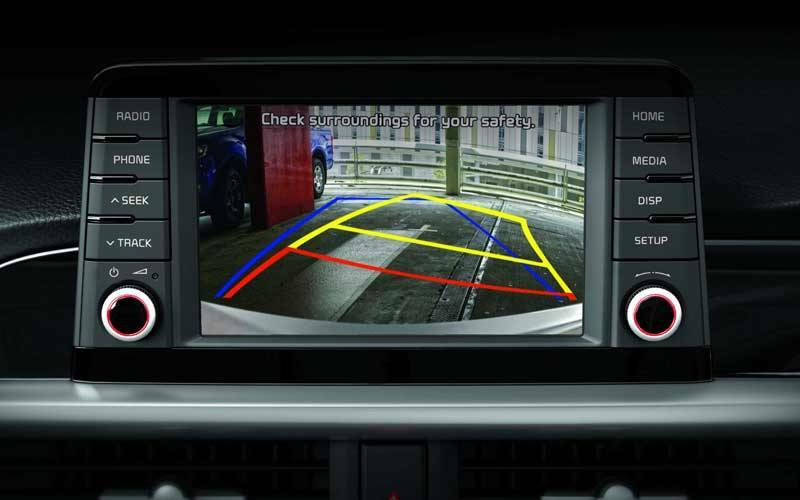 Rear parking sensors and rear view camera with dynamic parking guidelines are standard across the range, ensuring you will get in those tight parking spots while aware of potential objects behind you. 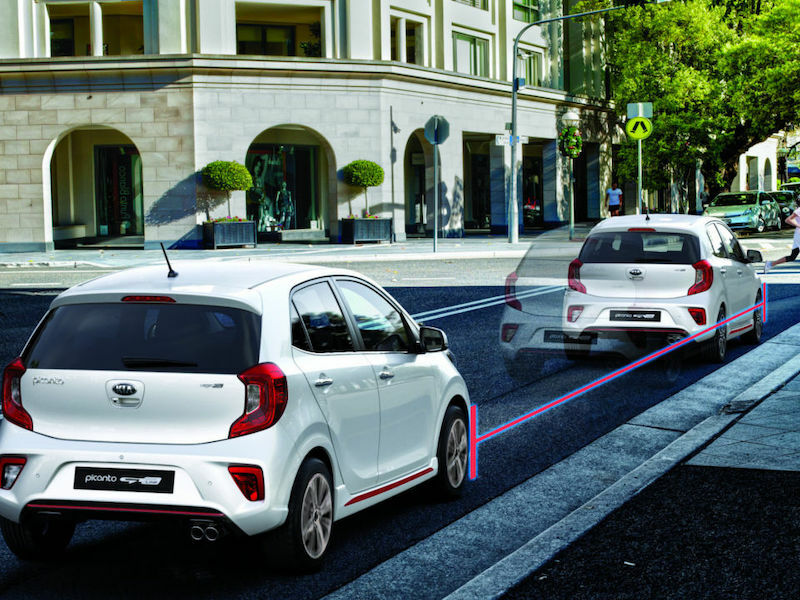 Using radar data the Picanto senses the potential for a collision with a car ahead and applies emergency braking to avoid or reduce the effects of a collision. ESC & TCS aids optimal braking performance and directional control by delivering the right amount of braking force to each wheel, based on evaluation of engine torque and driving conditions. When at a standstill on an incline, HAC prevents you from rolling backwards. 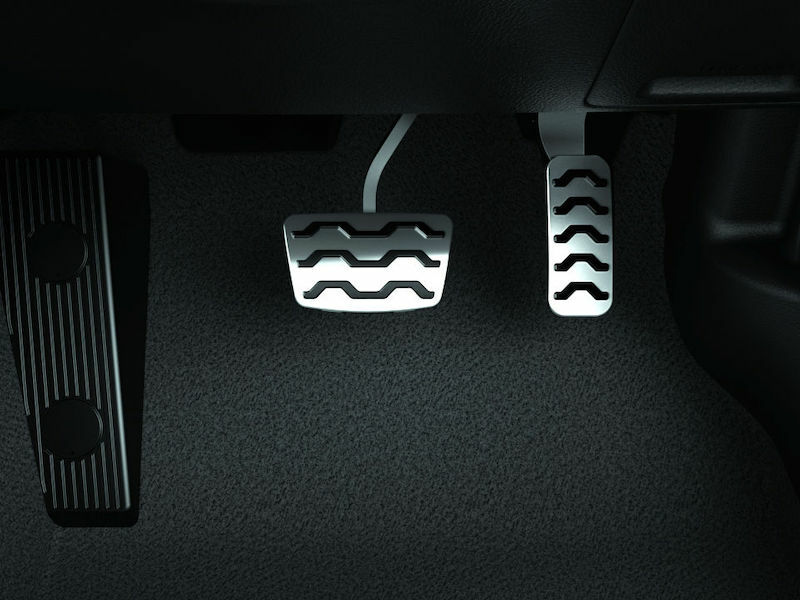 It gently applies the brakes when you lift your foot from the brake pedal, giving you time to switch your foot to the accelerator. 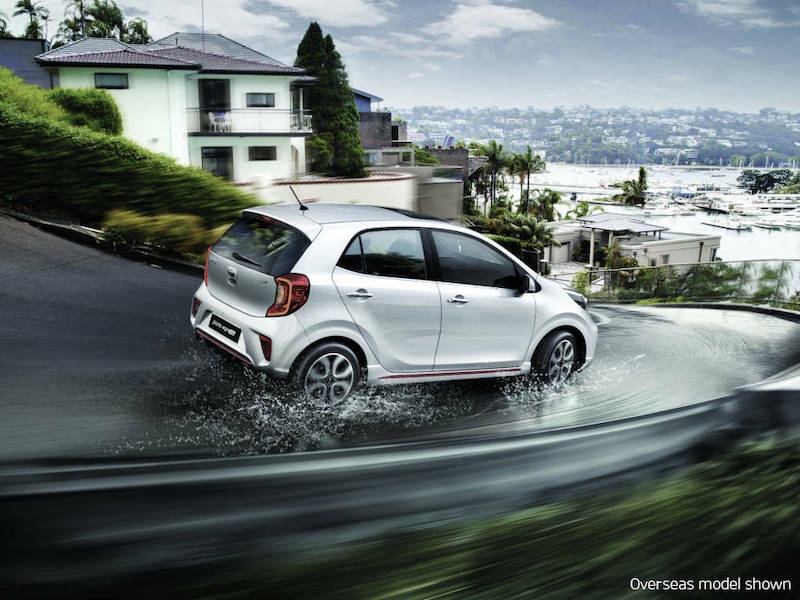 All Picanto grades come standard with driver & front passenger, front side and curtain SRS airbags. [A]Not all mobile phones will be compatible with the vehicle's Bluetooth® system. Bluetooth® is a registered a trademark of Bluetooth SIG Inc.